the Pearl in the Heart of Philadelphia. 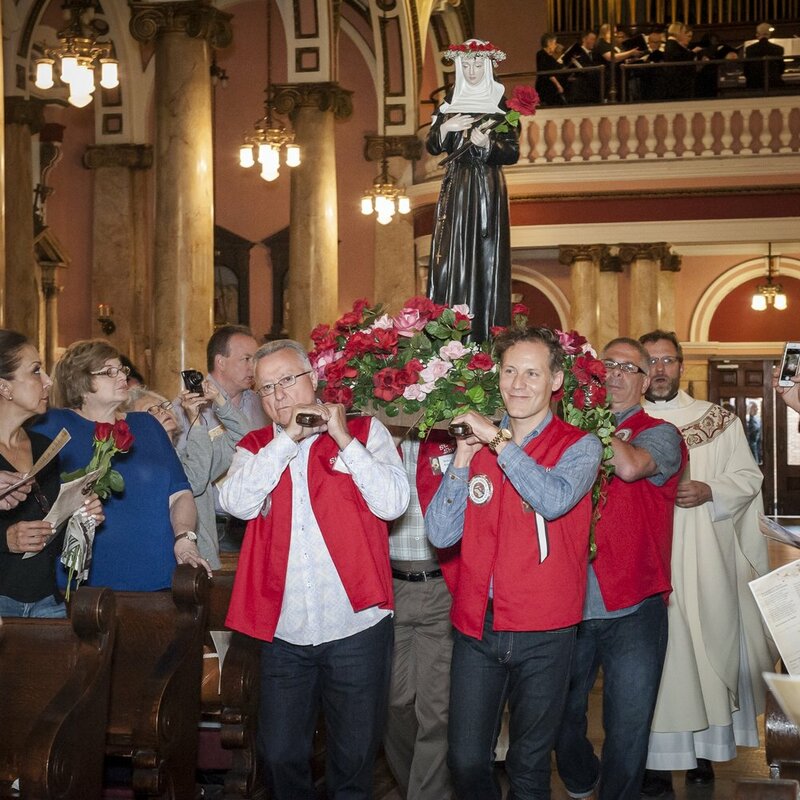 Located in South Philadelphia just steps from the Broad Street Line and in sight of City Hall, The National Shrine of Saint Rita of Cascia serves the nation. Here, we hold dear the values of our beloved Saint Rita of Cascia: peacemaking, healing, forgiveness, and reconciliation. The Church gives us 50 days to celebrate Easter, to reflect on the joy and hope of the resurrection and to consider the abundant life Jesus has promised us (John 10:10). How does the suffering, death and resurrection of Jesus make a difference in your life? How does the Easter story speak to our individual stories? How has the Risen Lord been present and walked with us in the challenges, opportunities, and stories of our lives? Come, be renewed, as we seek to know the peace and joy of the risen Lord. An evening reflection led by Br. Bill Gabriel, O.S.A in the Lower Shrine Chapel will offer us a chance to explore personal purpose and meaning that we often ask ourselves at many crossroads and major life events. As children of a loving God, what are we being called to do with our lives, and how can we be more intentional about living them? Fr. Michael Di Gregorio, O.S.A. will lead a morning of recollection in the Lower Shrine during the Solemn Novena of Saint Rita. It will include a talk by Fr. Michael, followed by a time for quiet reflection. Adoration and Confession begin at 11am and Mass will be in the Upper Shrine at noon, followed by the recitation of the Novena to Saint Rita. Call 215.546.8333 or email office@saintritashrine.org to order Mother’s Day Novena cards. Saint Rita is patroness of many things. Learn more! 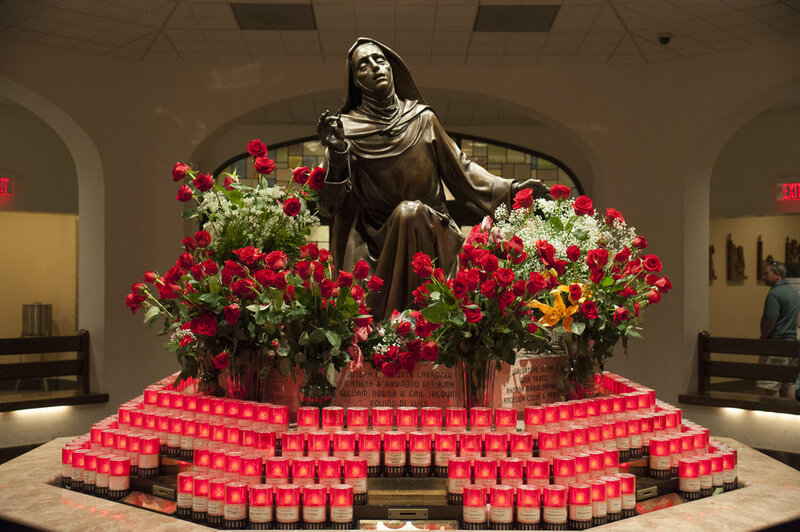 Promote the virtues of Saint Rita and support the National Shrine of Saint Rita of Cascia by enrolling a loved one in the Saint Rita Society. Mass Cards are also available. Learn more about how you can ask our community of believers to pray for your special intention. Augustinian Province of Saint Thomas of Villanova.